Former Super Eagles player, JayJay Okocha has shared with his fans on social media a cute photo of his handsome son. 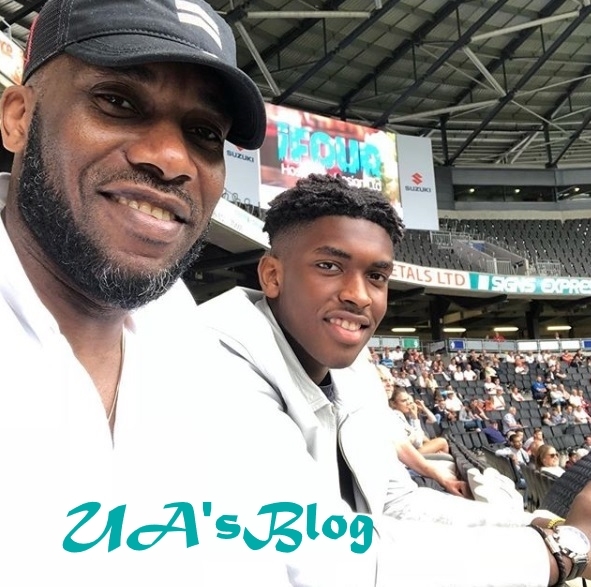 Former Nigerian footballer, who is known for his brilliant skills has been spotted posing with his son inside a stadium. The legendary superstar footballer took to his social media page to share the cute photo. Okocha who played for different top flight clubs in Europe shared the photo and wrote: "Missing my PA, my friend, my brother and my SON."